To access the recording of the webcast please submit your information to the right and you will receive an email with instructions on how to access the event. As part of this webcast you will receive an exclusive look at Casepoint’s E-Book, Case Study, & Buyer’s Guide. Download them from the resources widget in your audience console. As the push towards efficiency drives a global evolution in the legal landscape, legal technology expert, Brett Burney, delivers timely insights on how the roles of corporate legal departments and law firms are changing, and how each can utilize technology to thrive in the future. Savvy law leaders should join this webcast to explore how inefficient and antiquated business operations are hindering success, areas to consolidate and streamline operations, and how emerging technologies can help achieve these operational efficiencies to add value to the bottom line. Corporate Leaders: receive a blueprint outlining how to use technology to transform your legal department into an efficient business function of the company. Law Firm Leaders: learn how these changes impact your clients, how to best position your firm to add value for your clients, and why your workload may increase because of it. How efficient business operations of the future rely on legal departments to take the charge. Improving business productivity by rethinking current technology configurations. Why AI doesn’t replace lawyers, but drives their efficiency. Brett Burney is Principal of Burney Consultants LLC, and focuses the bulk of his time on bridging the chasm between the legal and technology frontiers of electronic discovery. Prior to establishing Burney Consultants LLC, Brett spent over 5 years at a large law firm where he worked with litigation teams in building document databases, counseling on electronic discovery issues, and supporting them at trial. 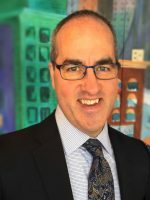 Brett is a frequent contributor to Legaltech News and speaks around the country on litigation support, e-discovery, Mac and iOS-related topics. Brett also authored the eDiscovery Buyers Guide that is available as a free download at www.ediscoverybuyersguide.com. You can email him at burney@burneyconsultants.com. Having issues seeing the form? Click here!